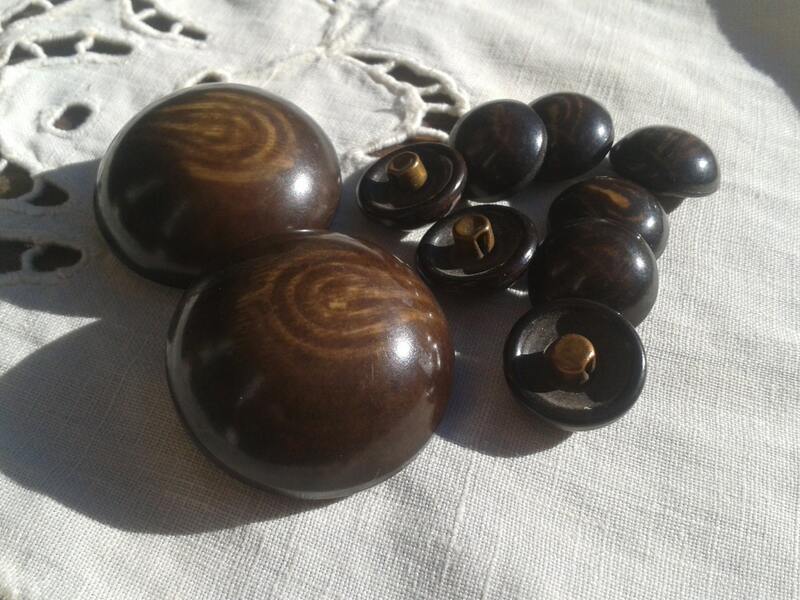 GORGEOUS and Rare Antique French Nut wood shell buttons . 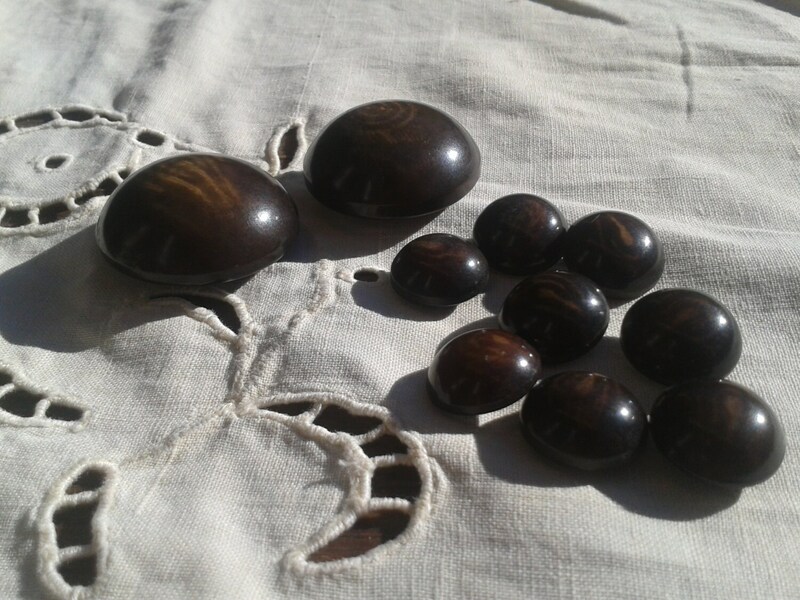 Handmade domed buttons .Copper eye on the back side . 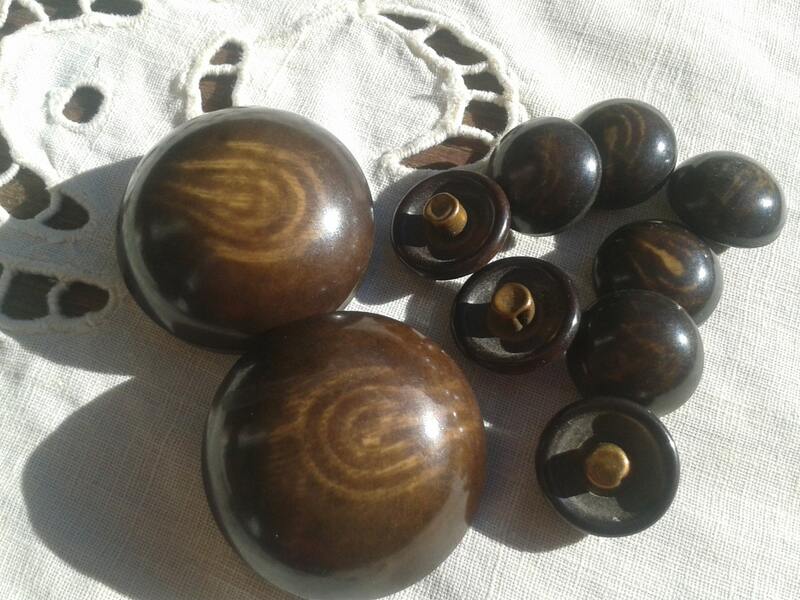 Set of 10 Buttons . 2 Large and 8 small. 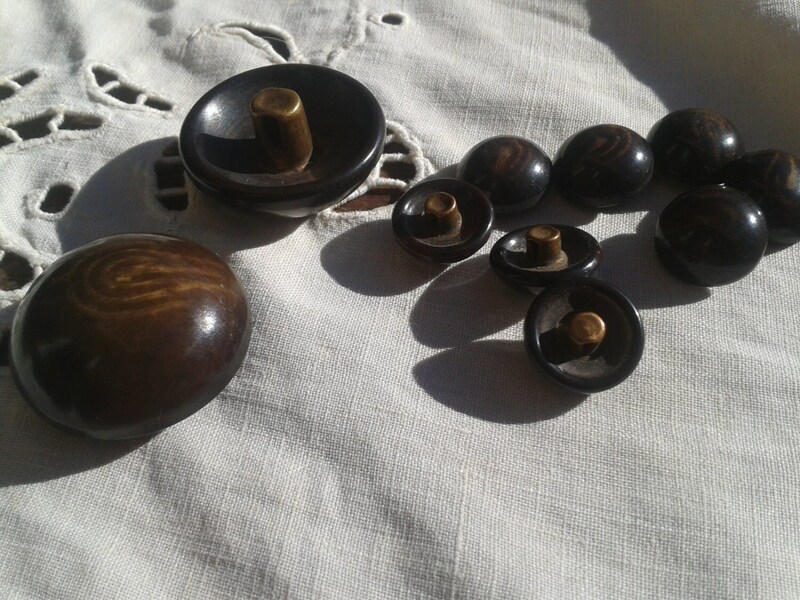 Natural nut wood shell buttons found in my grand mother's button box. To keep as collectible or to wear on a coat or a jacket ! 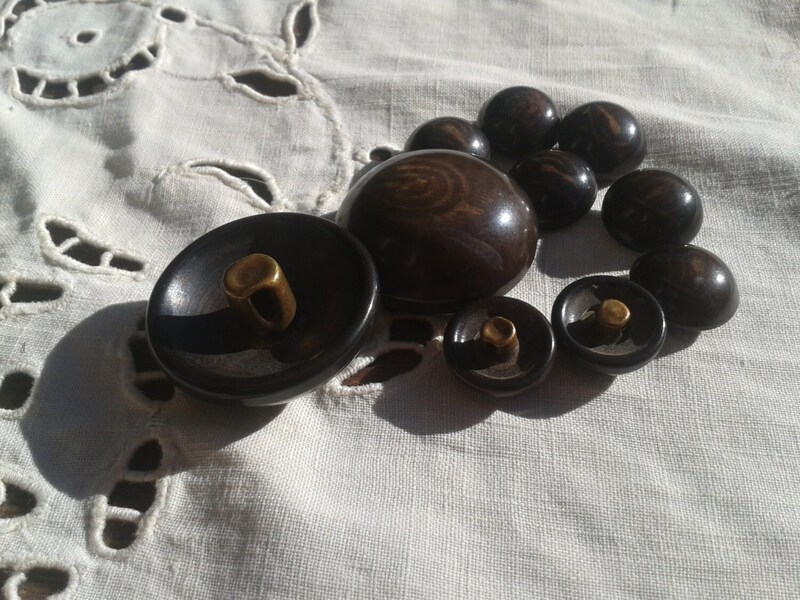 Gorgeous and very unique Victorian set of buttons.